There are a lot of terrific heavy duty belt sanders on the market. The differences between models may seem small in many cases, but they can really affect performance. Those subtle differences make a heavy duty belt sander good for either do-it-yourselfers or timber frame professionals. But at the end of the day, the best tool is the one that makes sense for your woodworking needs. 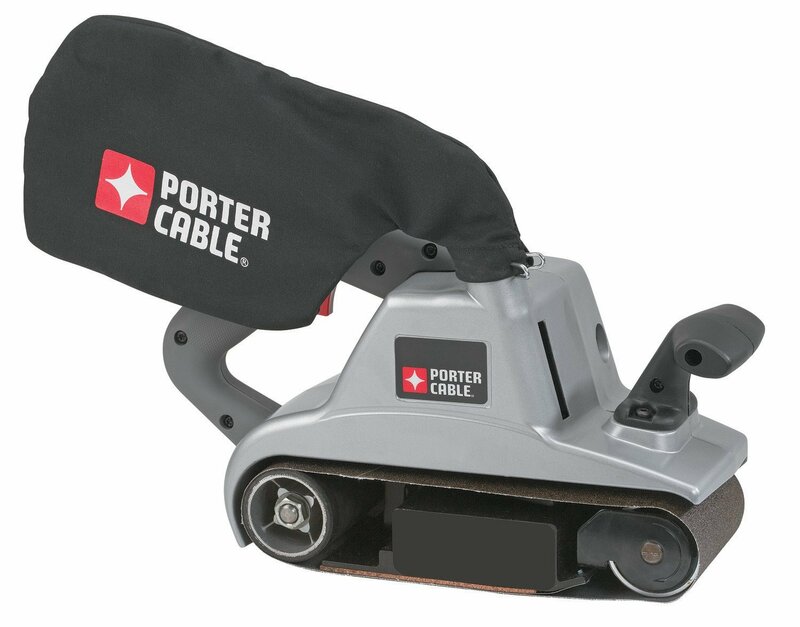 This Porter-Cable sander features a strong 12-amp motor positioned over the platen that provides terrific balance and speed. Its sturdy all-metal design makes it a durable tool for vertical, flush sanding. The variable speed option ranges from 1,000 to 1,500 surface feet per minute (SFPM) and the dial sits right on the trigger handle. Being able to make minor adjustments without breaking motion is fantastic. It also has tremendous balance and a dynamic motor. This 4X24-inch tool weighs 15 pounds and has been geared toward professionals. For a heavy-duty sander, that weight is just right for working without having to apply too much pressure. The large-capacity dust collector is positioned right on top, but swivels a full 360 degrees, so you can keep it out of your sight lines. If you keep the bag clean the dust collection capabilities are quite impressive. The belt-changing mechanisms are quick and easy to adjust. This Porter-Cable gets high marks from owners and timber framers, with the vast majority giving it five stars. It has the ability to handle big jobs such as dry oak and kiln dried timbers. Some people don’t care for the dust bag being mounted on top but have gotten used to that with time. However, if not clipped on properly, it can end up blowing in your face. 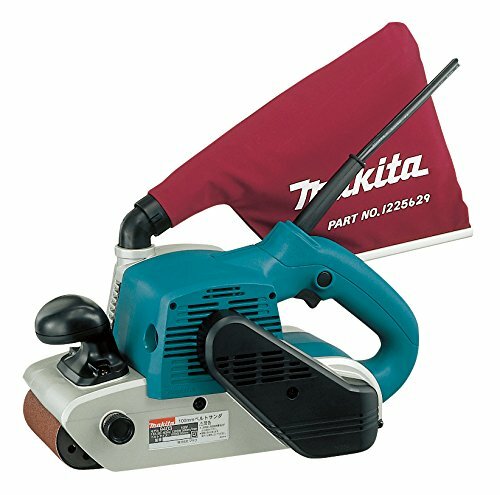 This comparable Makita belt sander features an 11-AMP motor and runs at a nice, quiet 84 decibels. That noise level ranks among the best of its class, but you’ll still need earplug protection. Although it offers the same 4x12-inch surface space, it comes in at 13 pounds, a couple less than the Porter-Cable. But you may still need to use the triceps at times during rough sanding. Its 1,640 SFPM outpaces the Porter-Cable, among others. That speed helps with tough surfaces and things like taking a rough cut timber to a smooth surface. However, the Makita doesn’t feature a variable speed option but I don't use that feature on my Porter Cable. The dust bag sits on top and slightly to the right. It also swivels 360 degrees to keep it out of your way. Timber Framers give this tool top marks. They generally mentioned the low noise and tremendous power. It operates like a champ under a full load. Across the board, the main criticism about this Makita is the fact that the dust bag attaches via plastic. It can crack and break off and then you have dust blowing in your face. On the bright side of that plastic attachment, it’s possible to run a hose off it. Both the Porter-Cable and the Makita have enough sanding capacity and power for do-it-yourselfers and timber framing professionals alike. The difference may come down to that plastic piece. On a commercial job site, that piece will inevitably break and no one is going to work with wood dust blowing in their face. The Makita, however, makes a terrific tool for homeowners that operate in a more controlled environment. Pros may want to stick with the heavy-duty, all-metal Porter-Cable and its variable speed options that helps adapt to inconsistent and rugged materials. I own 2 Porter Cable sanders. I have been in the trades for 30 plus years and have used the porter cable a lot. I just bought the makita for myself and i agree wth your complaints about the plastic dust elbow. We will see how long it lasts in a semi retired shop.